Reggae music emerged from traditional Jamaican music with African and Black American roots. It grew from Ska, which has elements of American R&B and Caribbean styles. Many reggae artists have been recognized for their original compositions, recordings, and performances. One notable musician that has been famed for his reggae music is the legendary Bob Marley. Reggae music evolved in the 1970’s to include artists such as Dennis Brown and Maxi Priest. In the 1980’s reggae evolved into dancehall and many artists gained international popularity after the death of the Reggae legend, Bob Marley. Reggae music is not only Jamaica ‘s favorite passion, it is also how they choose to express and define themselves. 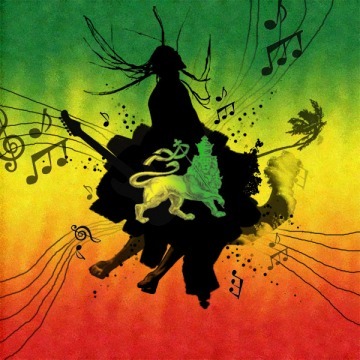 Reggae music is an irresistible offbeat shuffle and bouncing bass lines. It has influenced almost every culture on earth and continues to increase in popularity with artists such as Sean Paul and Shaggy topping the charts. Its upbeat rhythm fits well with other musical styles and artists around the world have incorporated it into heir music. Jimmy Cliff was one of the first reggae artists to achieve worldwide recognition for his success as a reggae musician. Reggae’s popularity exploded around the world after Jimmy Cliff and Bob Marley created music that drew crowds from around the world. Today reggae music has exploded and soared the charts with songs from some of the best artist in the music industry.